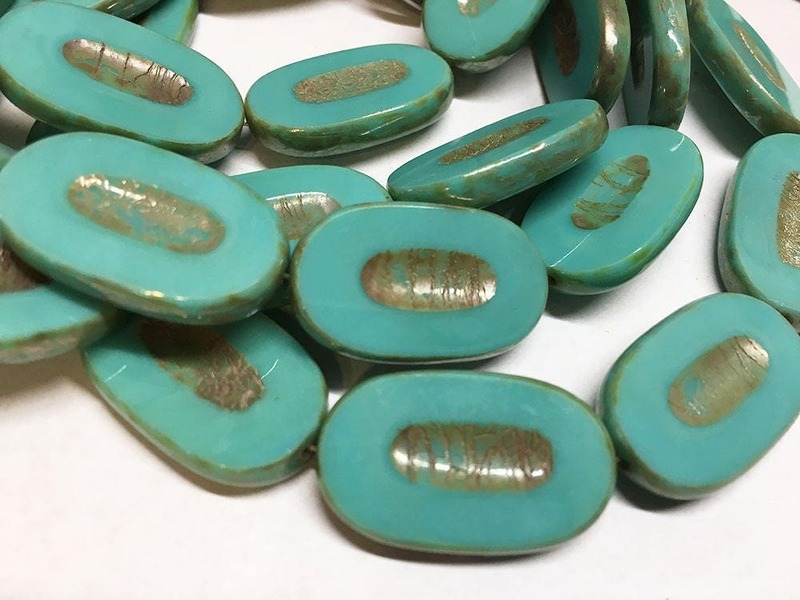 Turquoise extra large Czech pressed glass chunky carved oval beads with Picasso finish on edges and center! Beads are 25x16 mm. They really have the look of agates - very unique. You will receive 2 beads.